Home » Contributor » How Long Do Car Batteries Last? 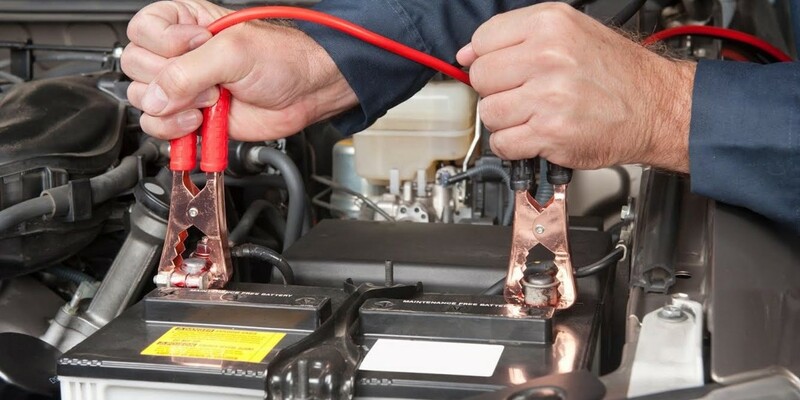 When car batteries are new, they crank an engine nice and fast and simply do their job. But when they get old, they can crank a vehicle’s engine too slowly to start your car. Most drivers have a horror story or so about a battery problem discovered a long way from home. It usually isn’t much fun. A natural question, then, would be: “When should I replace my car battery so it doesn’t let me down?” The service manager at Mullahey in Paso Robles, CA, a Chrysler, Dodge, Jeep, Ram dealer, told us that a rough rule of thumb according is that a car battery lasts about four, maybe five, years, under normal conditions. “Normal conditions” refers to a number of factors. Normally a car battery isn’t subjected to extreme temperatures; is attached to a properly functioning charging system; and isn’t providing power for a ton of accessories. In the real world, however, things like temperature extremes, excessive vehicle vibration, and short trips occur and these can take a toll on your battery. Let’s take a look inside a typical lead-acid car battery and get a better idea of what can go wrong. Inside the plastic battery box are a series of heavy lead plates arranged in rows. These plates are suspended in a mix of water and sulfuric acid. Batteries are built to be strong but there are factors that can disturb the internal structure. For example, rough travel can shake loose or weaken the lead plates. Extreme heat during the summer can accelerate the chemical reactions inside a battery which can shorten its life too. If you have a short commute or take lots of brief trips, this can harm your battery also; it’s because the battery never gets fully charged and this results in “acid stratification” which shortens the battery’s life. The most obvious sign of a battery that is nearing the end of its lifespan is that when it is fully charged (say after a long trip), that it cranks the engine slowly. This can also be attributed to the vehicle’s charging system so this should be checked out. Any mechanic can do this. However, if the charging system checks out, it’s likely that the battery is bad. You may also know that the battery is just simply old and, as we explained above, they only last 4-5 years at the most. Batteries are so reliable that drivers have a tendency to forget the they do age and should be replaced. If you pay attention to the age of your car’s battery, you’ll reduce your risk of being stranded on the road. As we mentioned, if your car turns over slowly, that might be because your battery needs replacement. Or it just might be some four to five years old and that’s the normal lifespan of a battery. When in doubt, it often makes sense to just get a new one. Then you are assured of reliability and full cranking power for years to come.